The disease is characterized by an itching, oozing rash that can cover almost all of the skin. The constant itch to say nothing of the disfigurement, can be so unbearable that many patients consider suicide.There as never been a safe and effective treatment. But now, a new medicine called Dupilumab has shown great promise in current clinical trials. Up to 38 percent of trials participants were completely or almost cleared of their inflamed red and scaly skin patches after 16-week course of treatment. For some, the relief was almost instantaneous. The medicine which can be self administered via injection, had already been designated a "breakthrough therapy" by the FDA, which means it's on the fast-track to government approval. The drug blocks two specific molecules of the immune system that are overproduced in patients with this and some allergic diseases. The only side effects were an increase in conjunctivitis, an inflammation of the outer membrane of the eye, and swelling at the injection site. 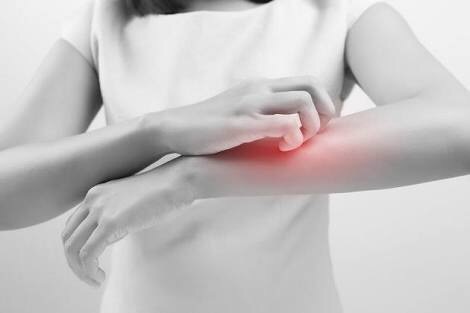 "This is a landmark study," said Dr. Mark Boguniewicz, an atopic dermatitis expert at National Jewish Health and the University of Colorado School of Medicine who was not involved with the study. "For us in atopic dermatitis, we are entering a new era." Many testimonies have been given by patients who have given the drug a trial. Daniela Velasco an event planner in Player del Carmen, Mexico said that "i knew immediately i was on the drug and not the placebo." Within a couple of weeks, the ugly red rash that had covered 90 percent of her body was almost gone. Even better, she said, "for the first time i didn't feel any itch at all." Although the trial doesn't indicate whether Dupilumab should be taken for the rest of a person's life or for a short period of time, Dr Guttman-Yassky, a professor and immunology at the Icahn School of Medicine in New York predicted that because eczema is a lifelong disease, the medicine will require lifelong administration.